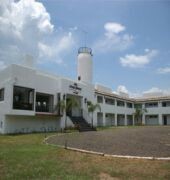 Howard Johnson Express Inn Ituzaingo is situated right next to private beaches. 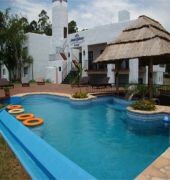 This peaceful and excellent property offers free use of fishing .Howard Johnson Express Inn Ituzaingo hotel for excellent rates and friendly service. 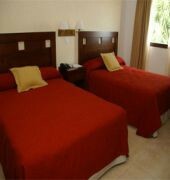 Our Ituzaingo hotel is conveniently located 40 minutes from the many attractions in Buenos Aires. Wake up feeling content at our Hojo hotel, and enjoy American breakfast in the morning. Depend on the 24-hour front desk service from our multilingual staff, and come and go with the ease of free outdoor parking. Take advantage of other perks like airport shuttle service, guest laundry facilities and express check out. For added comfort, book a spacious suite. Non-smoking and handicapped-accessible hotel rooms are available for your convenience.